JG Speedfit, the world leading manufacturer for push-fit fittings, has been awarded membership of the prestigious Builders Merchants Federation (BMF) based in the UK. A world-leader in its field with more than ten overseas subsidiaries, JG Speedfit’s engineering and manufacturing expertise extends beyond plumbing and heating to diverse areas such as drinks dispensing and pure water, air and pneumatics, telecommunications and automotive. Founded in 1961, JG Speedfit’s success and longevity to date has been built on an adherence to a strict set of core values, which include respect, decency, manufacturing excellence and first-class relationships. These values permeate at all levels of the business and can be seen in each and every interaction, whether between employees on the shop floor or with key suppliers. John Guest regards Polybutene-1 as the premium material for quality Speedfit compatible piping used for plumbing and heating. John Guest regards Polybutene-1 as the premium material for quality Speedfit compatible piping used for plumbing and heating because of its long term reliability, long lengths for reduced connections and excellent handling capabilities such as its light weight, lay flat capabilities and high flexibility enabling it to be threaded through concealed or inaccessible places. 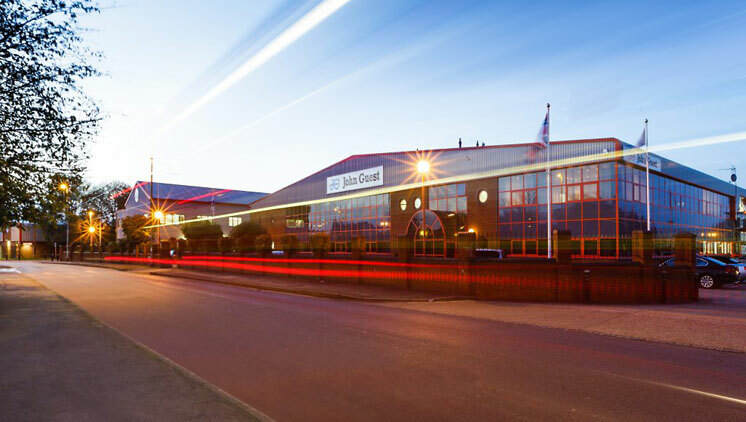 By investing heavily in research and development at the company’s West Drayton manufacturing, which is home to a dedicated R&D team, JG Speedfit continues to lead the way in delivering unique solutions which meet the ever-changing needs of the industry. By retaining strict control over its design and manufacturing processes, underpinned by rigorous testing and quality assurance measures, the JG Speedfit name has become synonymous with quality, as demonstrated by the countless awards and accolades the business has received over the years, including Queen’s Awards for Export and also Innovation. The John Guest Group is a PBPSA member company and manufactures for a diverse array of markets worldwide. The John Guest range comprises over 3,000 products for almost every tubing and pipe connection requirement. John Guest has a global reputation for quality products and attention to innovation and value engineering.